Clarence Lewis (Super) Moore was born in April 1881 and died April 26, 1949. He married Minnie Lou Cox, born in 1887 and died in 1975. They were both born in Dade County, Georgia in the New Salem Community. Clarence and Minnie were owners of approximately eighty acres on Lookout Mountain near Cloudland Canyon State Park where they were farmers. 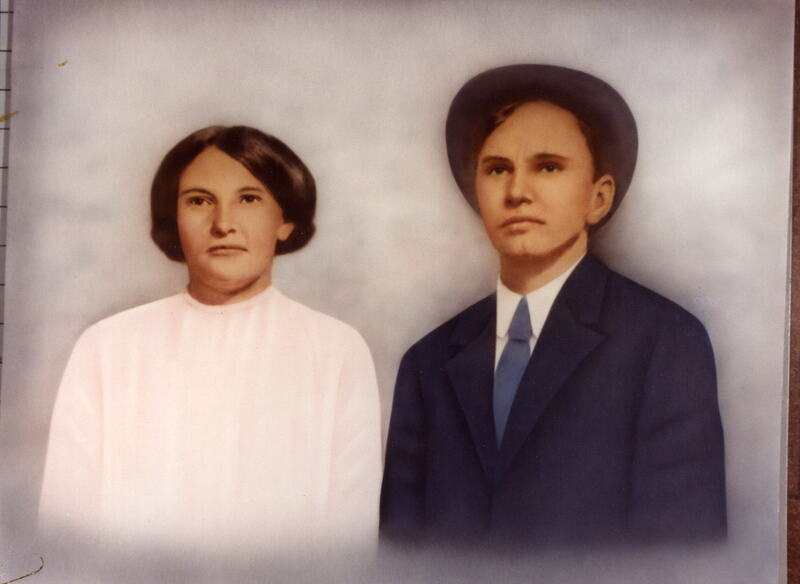 They moved from the farm after Minnie’s parents died leaving her the homeplace located on what is now Cherokee Loop. 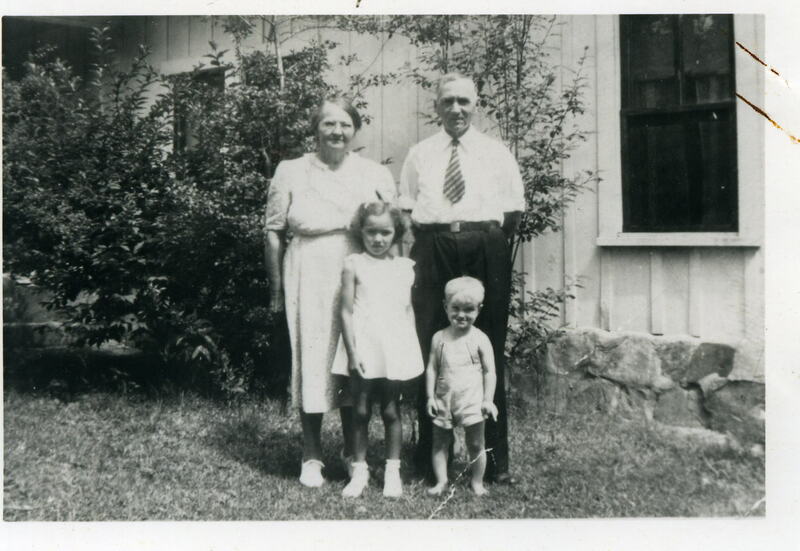 Her parents were large landowners leaving land on the mountain to all their children. The children of Clarence and Minnie Moore were as follows: 1. Roy W. born 6-16-1904 died 6-16-1981; 2. Mittie born 9-20-1905 died 5-14-1988; 3. Leota Mae born 10-25-1908 died 10-14-1937; 4. Gladys Irene born 2-9-1910 died 5-25-1993; 5. Lewis Clyde born 11-19-1911; 6. Harold Cecil born 2-17-1916 died 9-8-1976; 7. Olan C. born 1920 died 1925; and 8. Beatrice born 1923. All the children were born in Dade County and attended school there. Most of them remained on Lookout Mountain, built homes, and raised families in the New Salem Community. Being farmers, the family raised almost everything necessary for food for themselves and their animals. They had horses, cattle, sheep, and hogs. The horses were used to pull all the farm equipment. These were times before tractors, tillers, bushhogs, combines, and all the equipment that came later making farming somewhat easier. It was also during the time before electricity, indoor plumbing, and all the modern conveniences of today. The sheep were sheered and the wool sold, and some of the cattle were sold. Most families kept a milk cow. The milk cow was hand-milked twice a day. Some milk was used for drinking, some for churning into butter, and some for buttermilk. Large gardens and fruit trees were planted. There was always an abundance of fresh fruits and vegetables for immediate use. The ladies canned and dried fruits and vegetables for later use. Homemade jellies and jams were prepared. Potatoes were stored in the potato house built at ground level. Corn and hay were planted and gathered to feed the animals. Some of the corn was shelled and ground into meal for bread. Some was used for hominy. They even made lye soap. The men worked together to harvest corn and hay which they stored into large barns. I am sure life was difficult for all our families, but we all enjoyed the necessities. It was a period when everyone had time for family and neighbors. People helping people and most of them survived even the most difficult circumstances. Holidays were always special when all the family would come home. Great feasts were prepared, and it was a time of visiting with the kin. 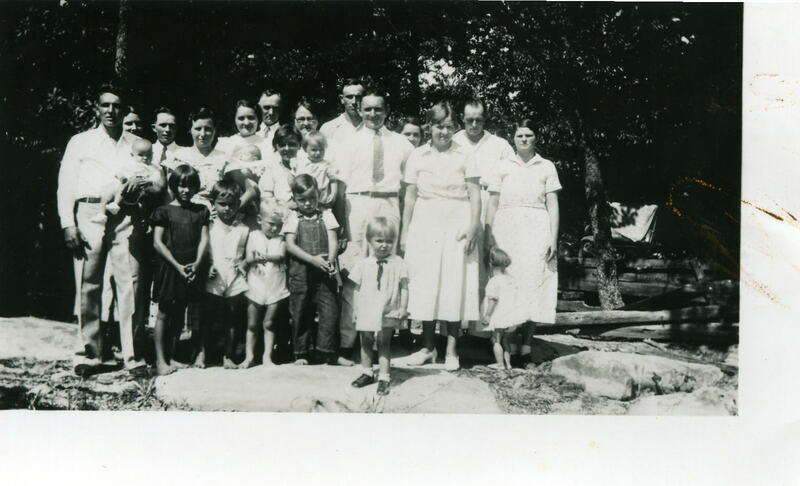 The family still gets together for the Cox-Moore family reunion the second Sunday in July at Cloudland Canyon State Park. Clarence L. Moore died in 1949. Many years later, Minnie Moore sold her farm to her son Lewis C. Moore. He built her a house near Roy Moore where she lived until her death in 1975. Clarence and Minnie are buried in the Hawkins Cemetery on Lookout Mountain.